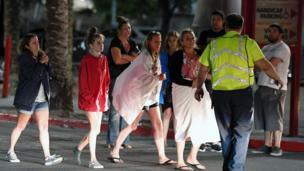 More than 50 people have been killed and hundreds injured in a mass shooting at a concert. 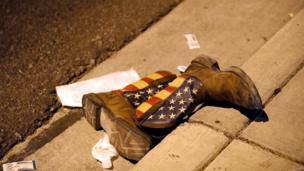 The gunman was on the 32nd floor of a hotel across the road from an open air concert. 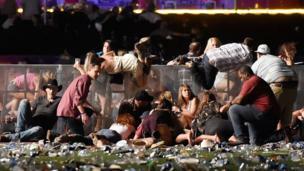 Witnesses said hundreds of shots were fired into an event with 22,000 people attending. 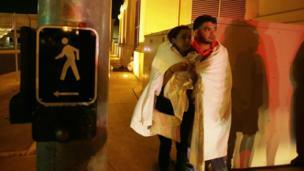 People fled the scene in terror as the attack unfolded. 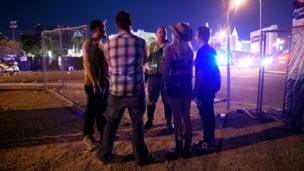 The shooting happened on the third and final day of a country music festival. 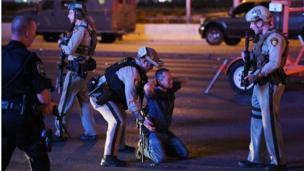 Police said the sole suspect, Stephen Paddock, shot and killed himself in a hotel room full of guns. 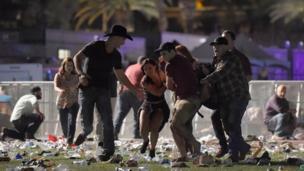 A person thought to have been travelling with Paddock was later found outside the country. 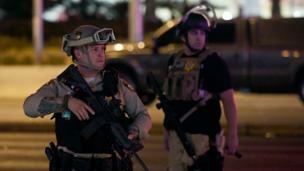 Streets in the area were on lockdown and police stopped this man after he drove down Tropicana Avenue. 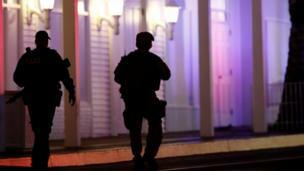 People were locked out of their hotels as police carried out investigations. 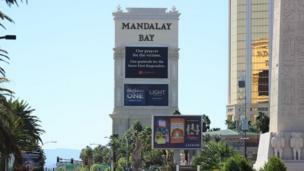 A local arena opened its doors for people who were unable to return to their hotel-casinos. 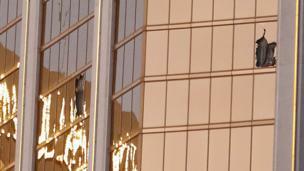 When the sun rose, holes were visible in the windows on the 32nd floor, where the gunman hid out during the attack.